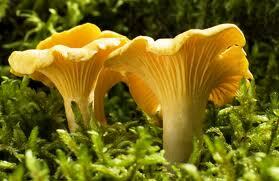 Pull on your green wellies, pick up your wicker basket and head for the woods –It’s mushroom time. The weather has been mild and damp and the woods are brimming with mushrooms, ripe for the picking and all-free of charge, mind you, there ain’t much room in the woods at this time of year. First off there are the hunters and shooters. All week the woods are full of people popping off at boars and stags, and when there isn’t any game, they are picking mushrooms. If they ain’t carrying rifles, they are wearing cloth caps. The woods are full of basket- carrying retirees, also picking mushrooms. Then there are the unemployed. Legions of them, taking to the forest to pick mushrooms, which they will then take to the backdoor of the nearest posh restaurant and try to sell for hard cash. There’s a lot of competition out there, so by the time you get to the woods on the weekend, there are no mushrooms left. “Brown Ring Boletus, Squirrel’s Bread, Chanterelle”. You could be reading Beatrix Potter or a medical dictionary. Whisper these words sweetly into the ear of a mild-mannered, edible-fungus fanatic, and you will send them into a trance. Their eyes glaze over, and their taste buds prickle in anticipation. In this state, mushroom lovers are not dangerous. However, if you happen to mention that you know of an obscure clearing in some far-flung forest, where morels grow in a thick yellow carpet, the half dreamy, and up to now, relatively tame mushroom lover will begin to emit squeals of delight and lose all sense of reason, as he or she drops everything and heads for the car like some cartoon Tasmanian devil, off in search of a tasty rabbit stew. Just the other week, my curiosity got the better of me. Standing around the drinks dispenser at work, I got into idle conversation with several colleagues who were talking “mushroom”. They were comparing notes on sites and going over the finer points of mushroom gathering etiquette. From september through to November, the mushroom season, such conversations are common during the morning coffee break. Never having been able to understand the reason for my colleagues’ fungus mania, I agreed to meet them at some ludicrous hour the following Sunday, to share in their passion. “Being in a forest is like walking through a Greig piano concerto,” enthused my friend with the ponytail as he removed a flat wicker basket form the back of his beat up Renault four van. “Well, if you remember all the . . .” He reeled off into a long explanation of Hobbits and mushroom picking. That was why we were here at half past six, on a cold, clammy Autumn Sunday morning, fifty kilometres from Bourges in the heart of the Sologne. My friend was attempting to initiate me into the joys of tramping through damp undergrowth in search of edible fungi. Off we went, followed by other groups of green-anoracked, basket-clutching mushroom hunters. The week before the weather had been exceptionally warm and humid for the season so, according to my friend, there was bound to be an excellent crop. “Brown ringed boletus,” chirped my friend a few hundred yards down the muddy track. “Is that infectious?” I asked. My friend had of course scrupulously drilled me on the three mushroom commandments. I had just been reminded of the first: cut, don’t pull. Leaving the clearing under the vitriolic stares of the other pickers I could feel a burning sensation in my back. “Never reveal your source to outsiders,” said my friend gravely. I knew that loose talk could cost lives, but we were in the middle of France, not in the middle of a war. “You never know who you might be talking to . 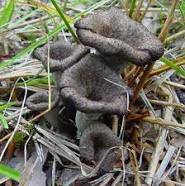 . . the mushroom mafia.” He tapped the side of his with his forefinger. There are apparently “gangs” who come down from Paris to plunder local fungus stocks and sell their booty on to local restaurant owners, who can justify charging a small fortune for some mouth-watering mushroom-based dish, that usually turns out to be no more than, a tired piece of veal, swathed in an exotic-sounding gravy, with two or three sad slices of fungi floating around in it. Mushrooms are in fashion. In a mass-produced world gone mad, where most people live synthetic, consumer lives, poor, stressed, city dwellers are looking for a dose of authenticity. Anything that smacks of organic origin or has a hint of tradition is eagerly gobbled up. There is good money to be made in mushrooms. They are fast-becoming a luxury commodity and in order to satisfy the demand, some unscrupulous people will go to extraordinary lengths. Last year in the forests around “Nevers”, “picking syndicates” had come from as far as Italy to look for new supplies. In one case, one gang came with their own twenty-four tonne lorry, which they duly filled to its full capacity with mushrooms. In doing so they emptied one forest of its whole mushroom stock and in the process, did so much damage that it will be a good few years before any mushroom grows again. So remember to cut and not pull. I could understand the need for this. A few years ago, a friend of mine had a near-death mushroom experience. 0ne very long and very unpleasant weekend spent in an isolation unit at the hospital in Tours awaiting the results of a urine analysis, wondering or not whether she would be going to work on Monday morning or going to meet her maker. The friend in question had not eaten anything poisonous, her fungus, had been of the edible variety, it was quite simply that the mushrooms had been gathered from a site too close to the road and hence, being exceedingly spongy and porous, they had absorbed all the nasty particles from the exhaust fumes of passing traffic. So, it is not only important to know exactly what you are picking, but where you are picking it from, and the man who will tell you if you mushrooms are kosher or not, is the local chemist. Some mushroom purists though, prefer rely on their intuition, because there are certain unscrupulous pharmacists who will tell you, that your hard won basket of goodies is in fact filled with highly poisonous non-edible fungus. He or she will then offer to dispose of them for you, knowing full well, that the contents of your basket is in fact highly edible and highly desirable and would be better on his plate, rather than yours. 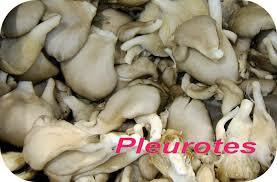 Mushroom purists will always tell you this story without naming the pharmacist in question. It is all part of mushroom folklore. Having spent a day with the fungus fans, I returned home with backache, headache, wet feet, a stinking cold and a vast bag of mushrooms, the contents of which, when cleaned and cooked, reduced down to a tenth of their original volume and tasted exactly like the rubbery tinned variety available in all good supermarkets. Frankly, it wasn’t worth it. So the next time a strange man in a green anorak gets you with his Brown Ring Boletus, smile politely and just hope it isn’t infectious. Great flesh and a lovely chestnutty flavour. Cooking lovingly with garlic, parsley, sauté potatoes. Add pieces of bacon for a complete meal. Kind of light and milky flavour. Melt in the mouth. Cook as above. Notice the price. Normally these sell at 22 Euros a kilo. The drop in price is testament to the abundance of the crop. At least not everything has gone up in price. And to wash ’em all down, a bottle of St Nicolas de Bourgueil or a Saumur Champigny. Posted in Autumn, Food, France, Weekend, Wine and tagged Beatrix Potter, Brown Ring Boletus, food, mushroom hunters, mushroom picking, mushrooms, walk in the woods, wicker basket, wine. Bookmark the permalink. 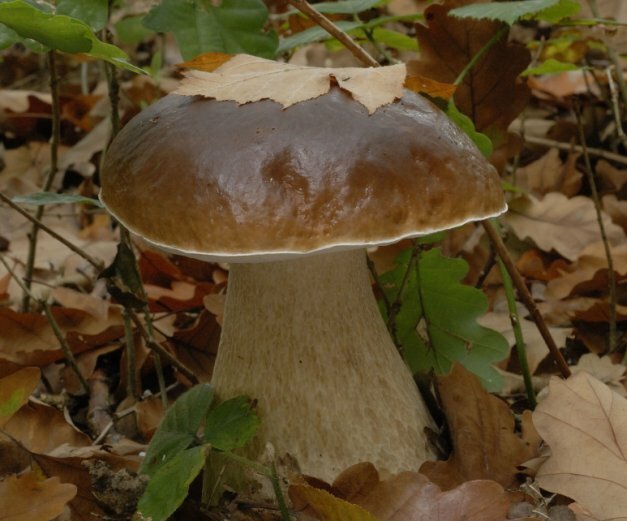 Yesterday, having two irish guests at my table, I served them “pieds de mouton” (Hydnum repandum), one of the very few edible mushroom to be found in the neighbouring woods. My opinion is that the “sheep’s foot” is a very good mushroom, obviously disliked by worms, easy to prepare, and impossible to mistake with any poisonous species.